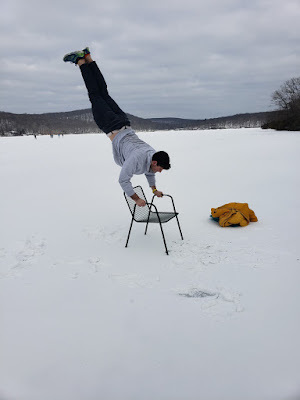 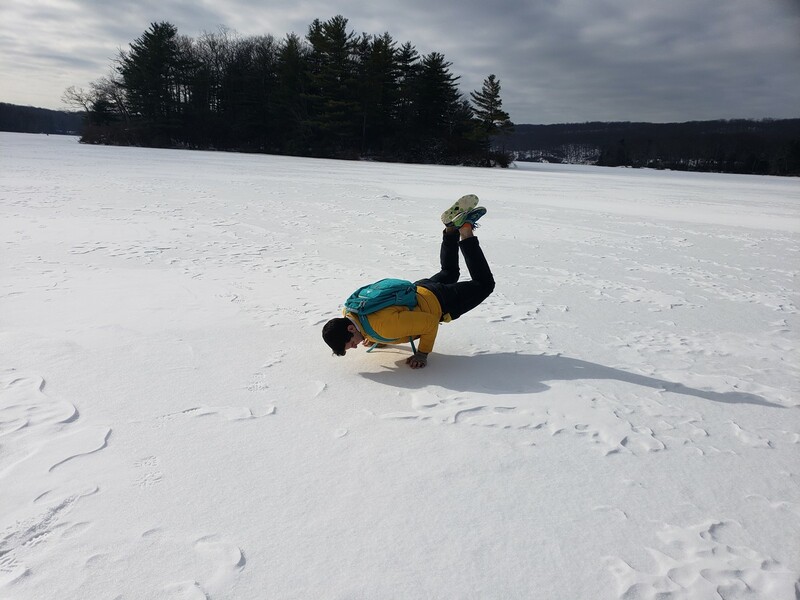 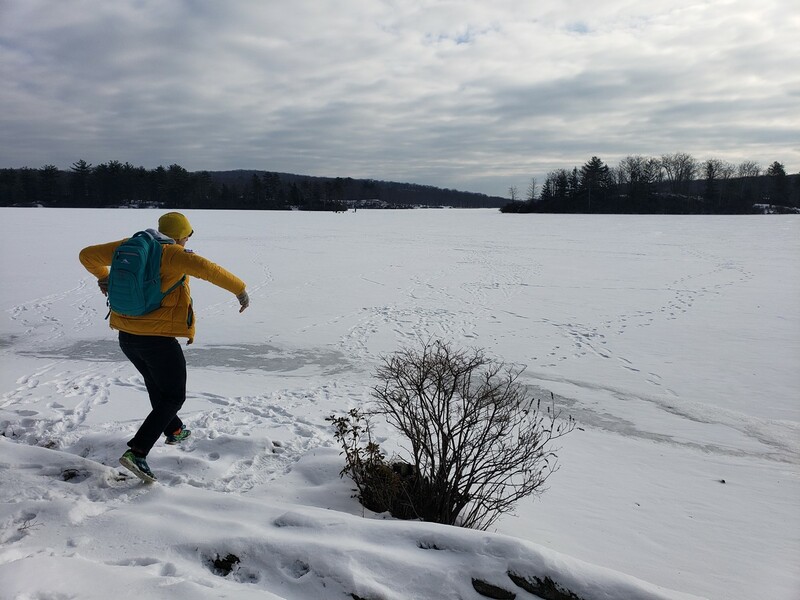 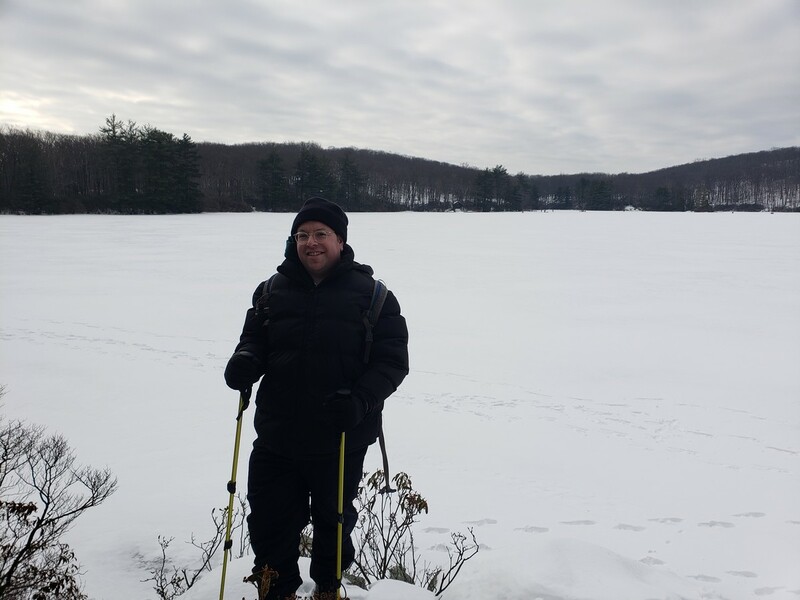 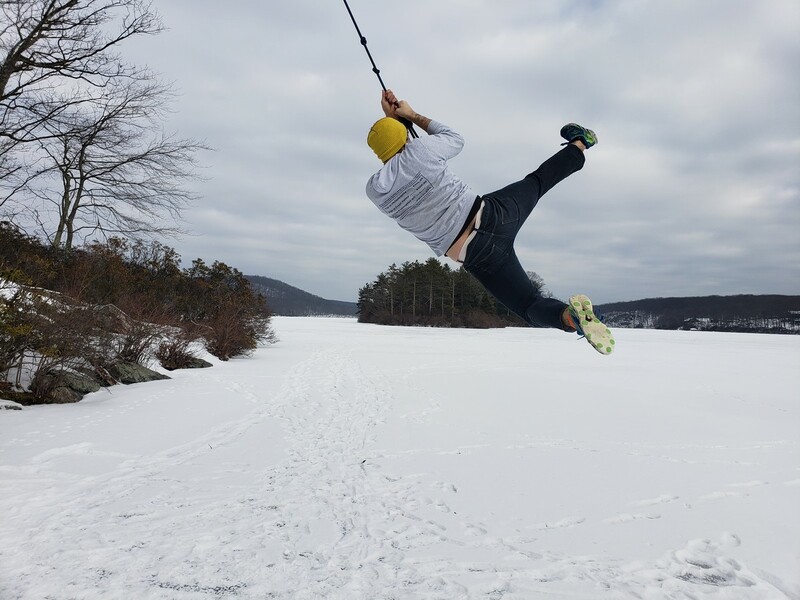 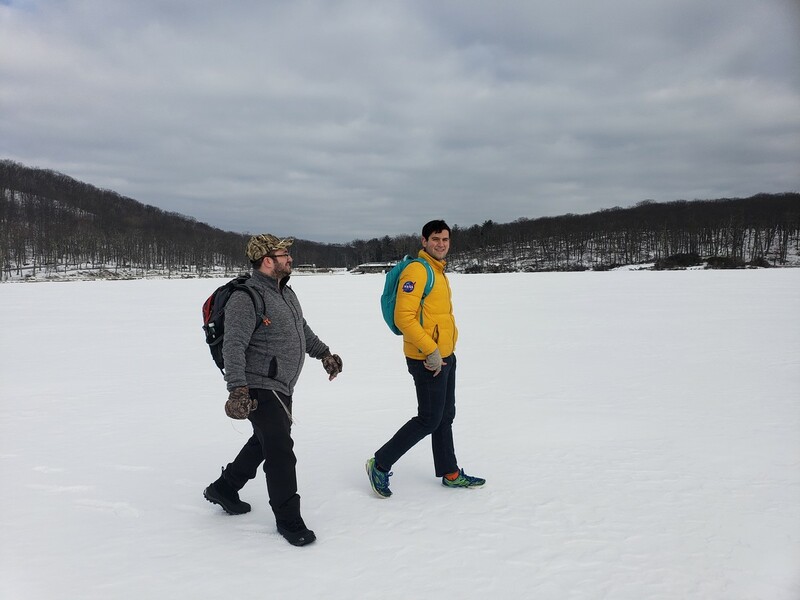 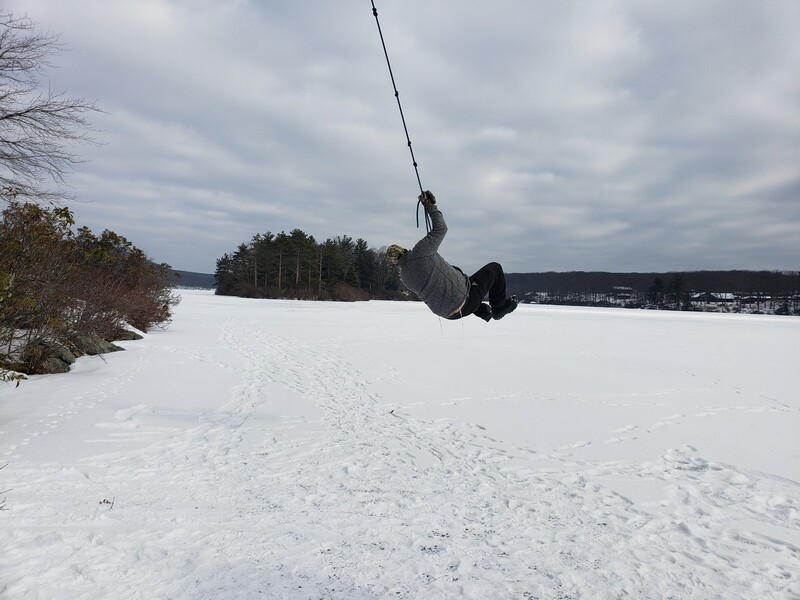 This was the first frozen lake hike of the season. 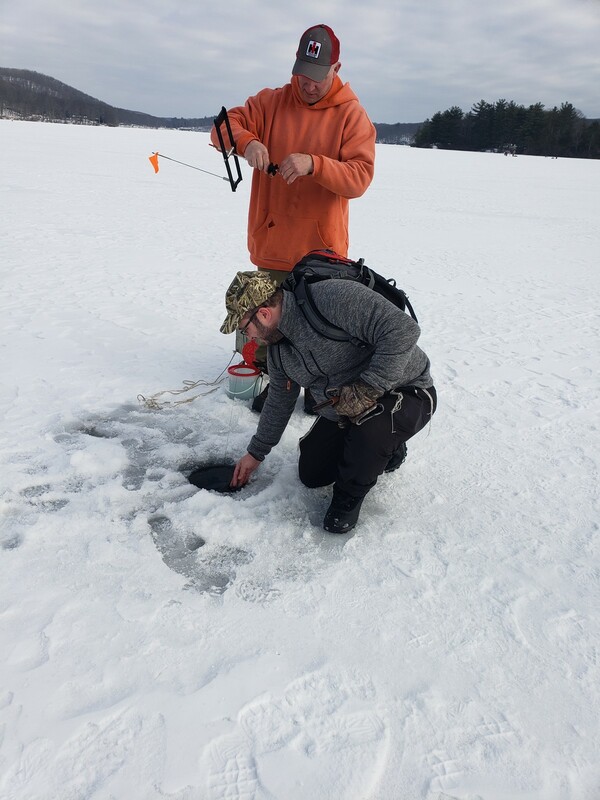 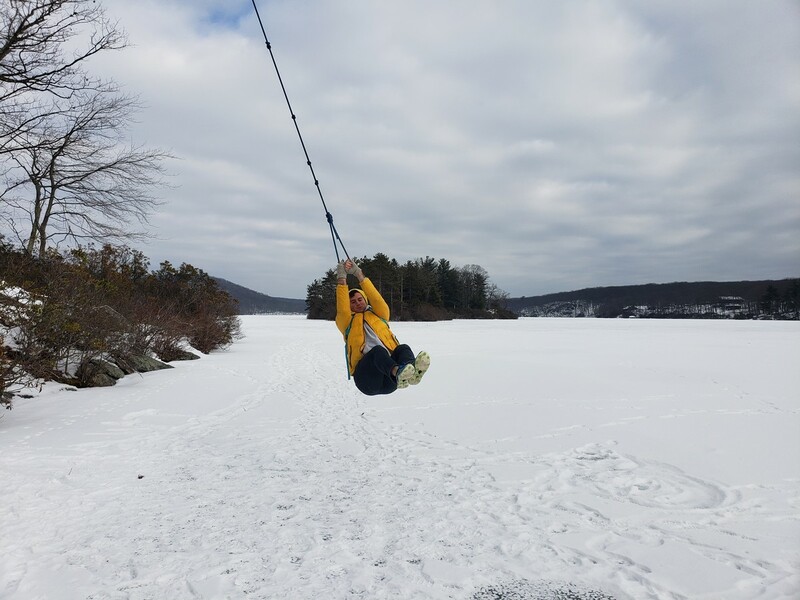 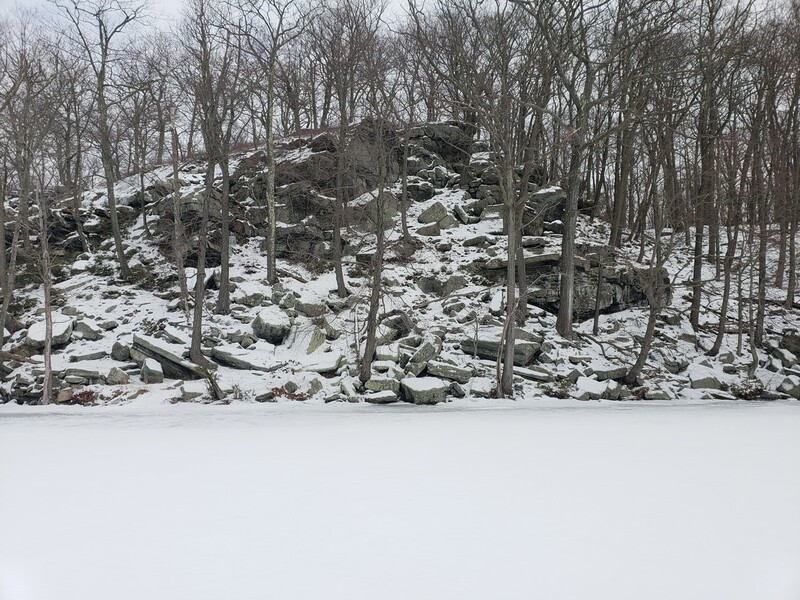 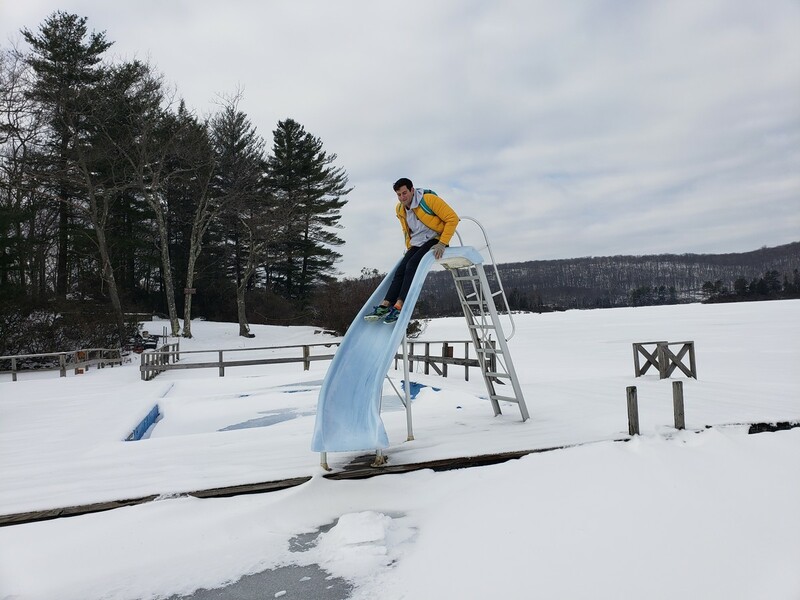 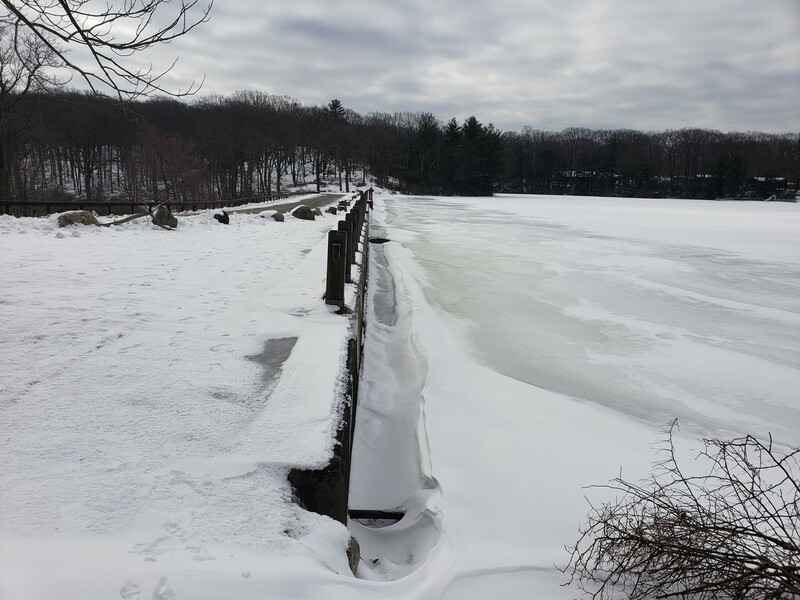 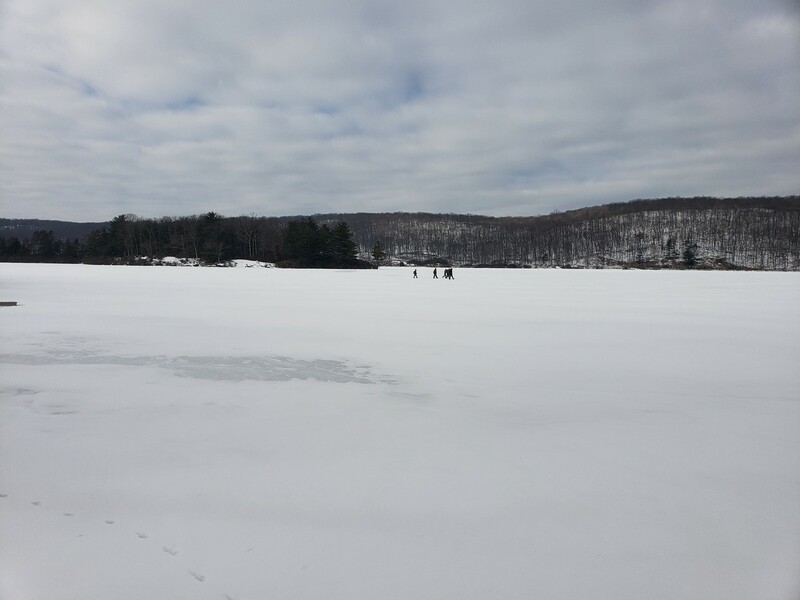 Due to the freezing temperatures all week, including sub-zero temperatures, the lakes were frozen with ice 10 inches thick. 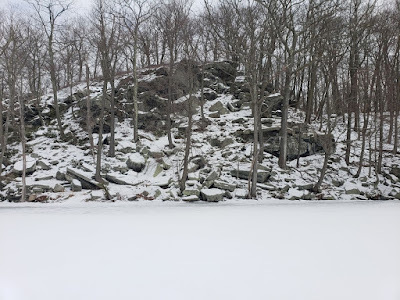 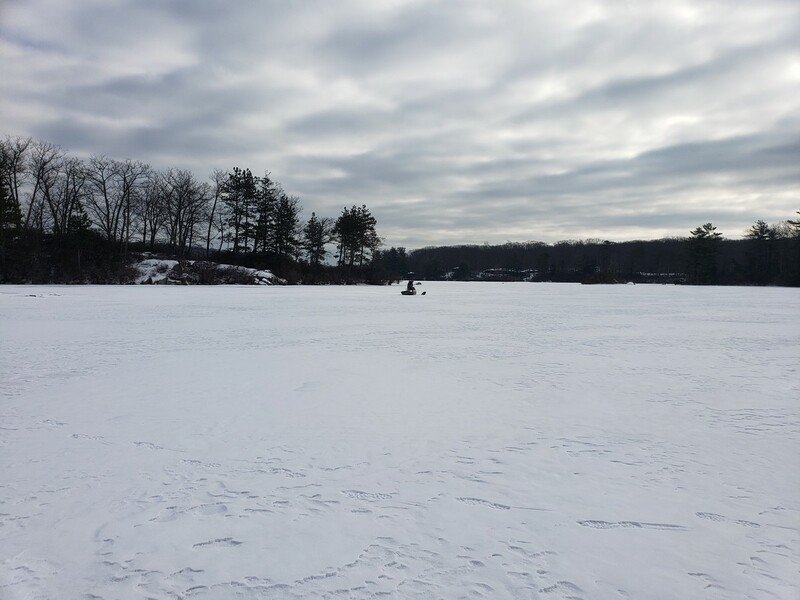 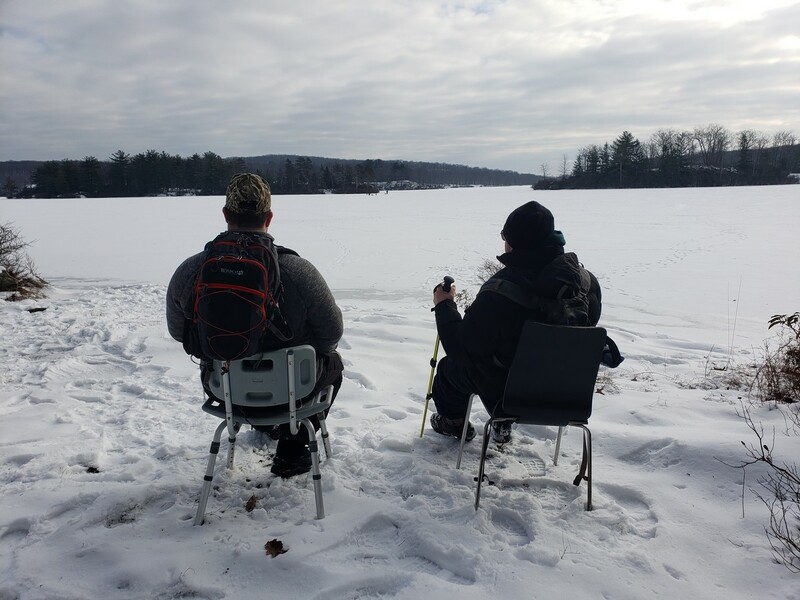 We had decided to go to Lake Tiorati, and parked at the parking area for ice fisherman on Seven Lakes Drive that is only open during the icy season. 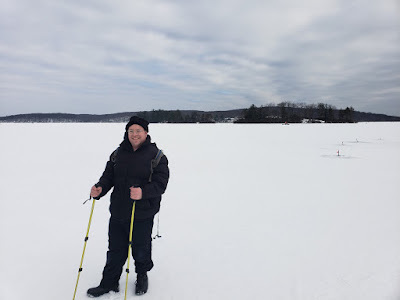 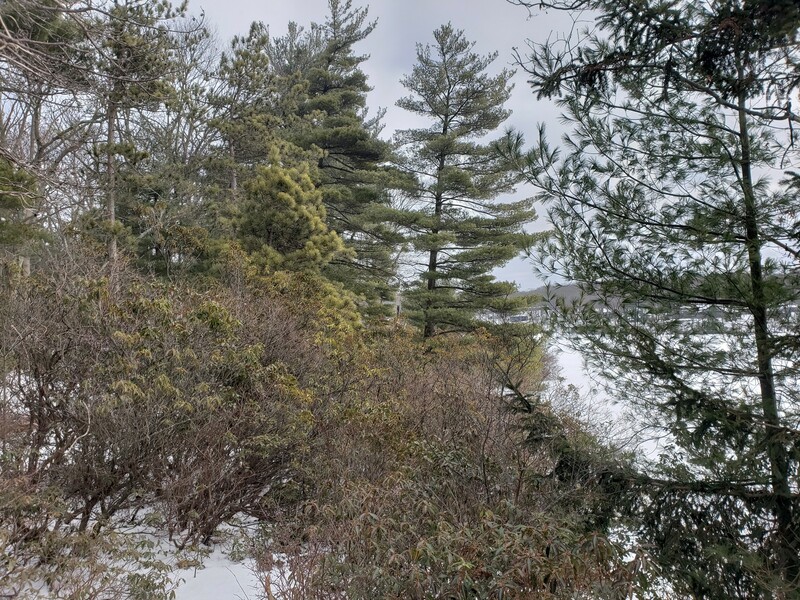 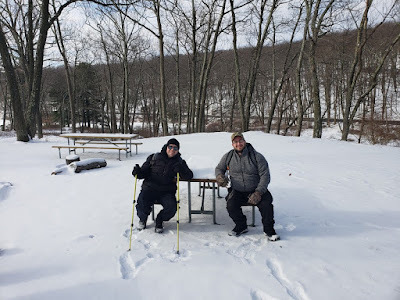 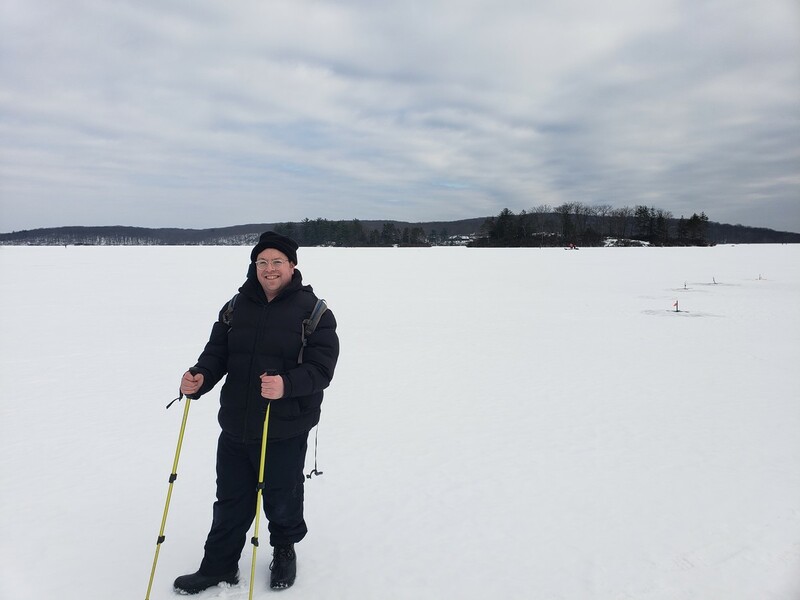 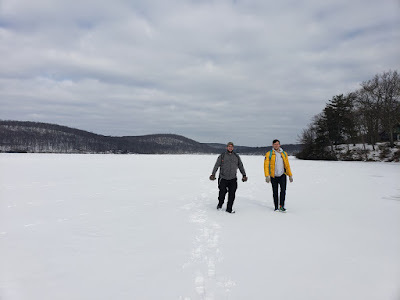 We climbed over the hill behind the parking lot, walking through the picnic area, and headed over along the frozen lake towards the southern island, the smaller of the two major islands on the lake. 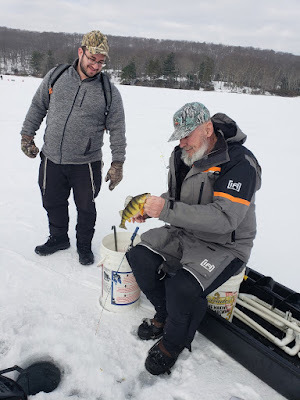 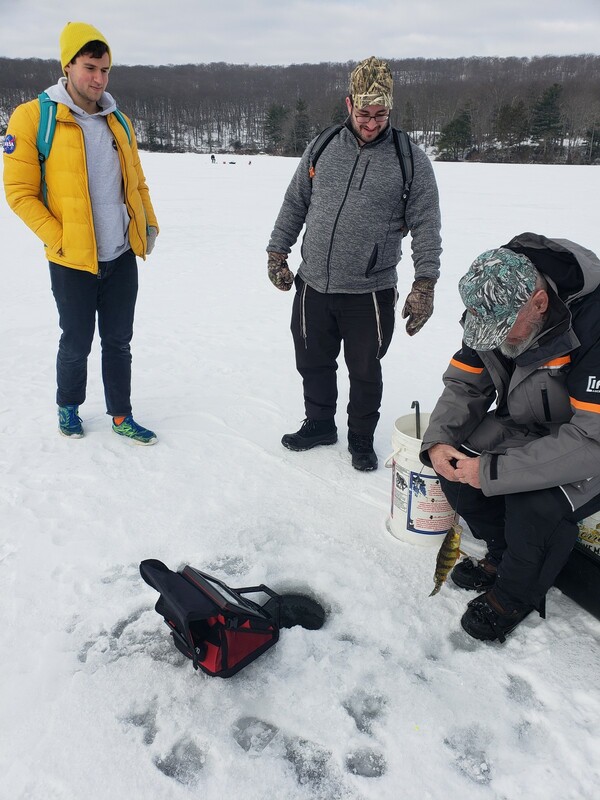 Along the way we encountered many ice fisherman, and most were catching small yellow perch in abundance. After reaching the southern island, we walked through it from its southern point, and exited near the end on the western side. We found a thick rope there attached to a tree, which we swung across. 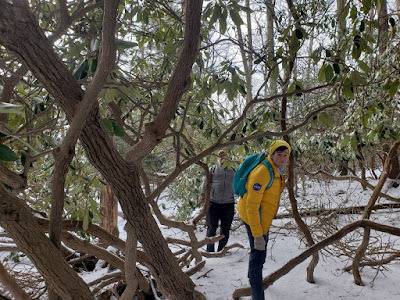 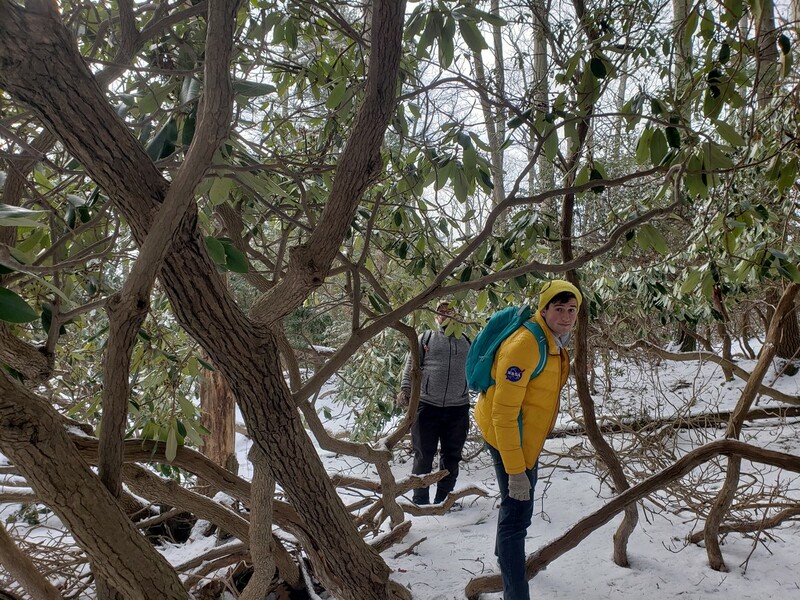 We then headed towards the northern island, and walked along the path in the middle of the island, exiting at its northern end in a thick evergreen forest of rhododendron and mountain laurel. We then headed north near the northern end of the lake, and then headed east towards the short by the dock area of the camp. 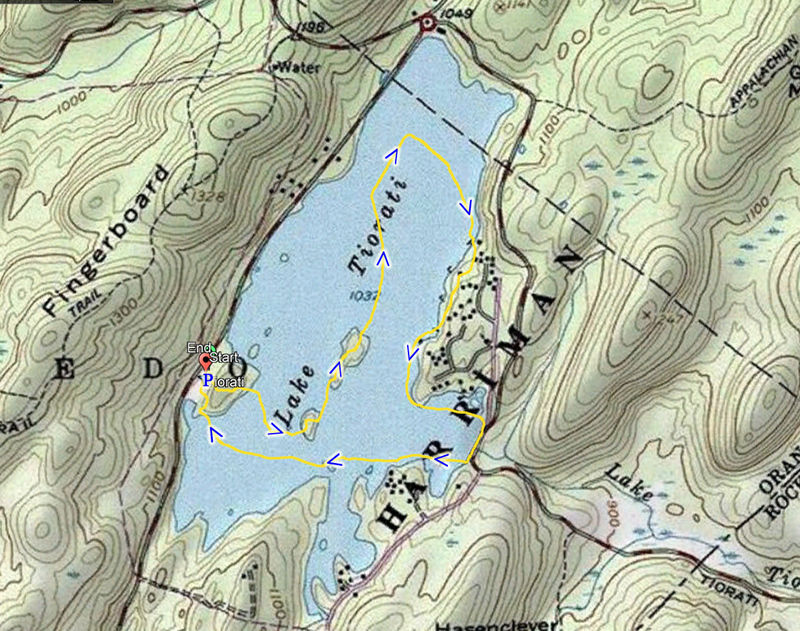 We exited the lake and walked along in the camp area for a short distance before heading back to the lake. 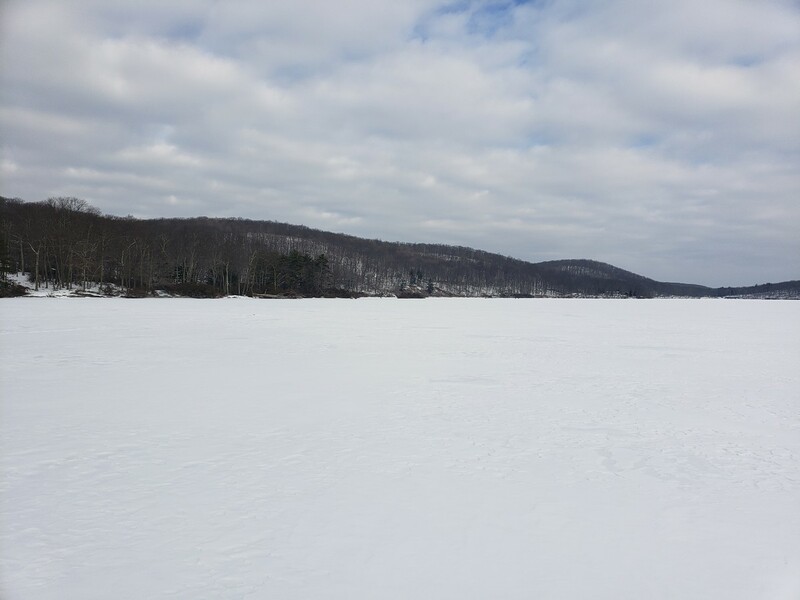 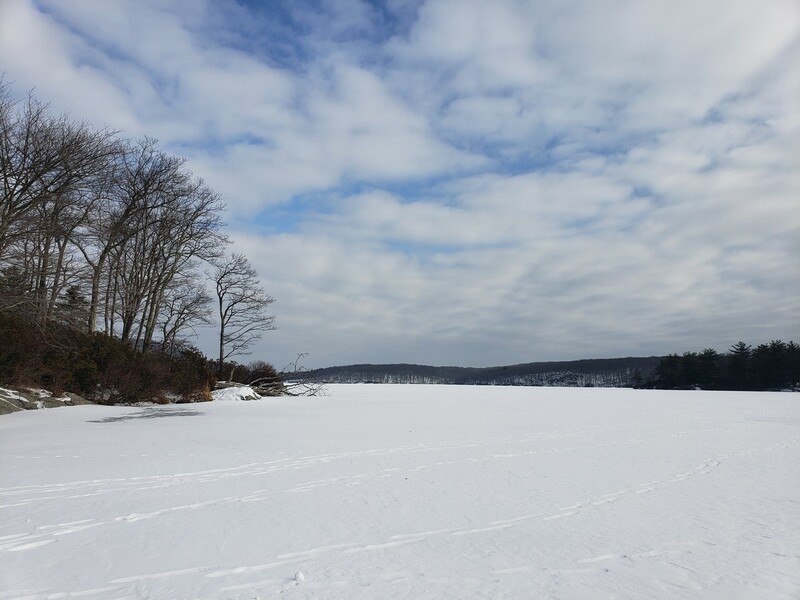 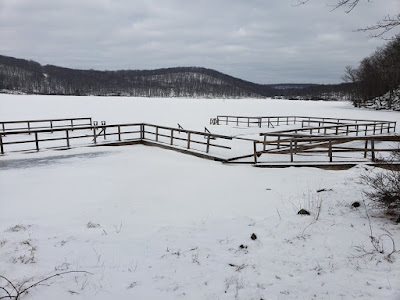 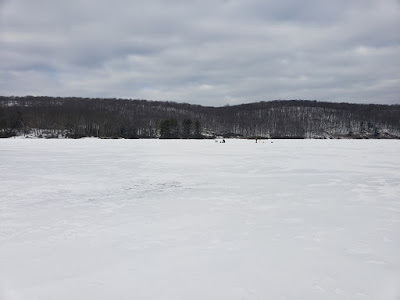 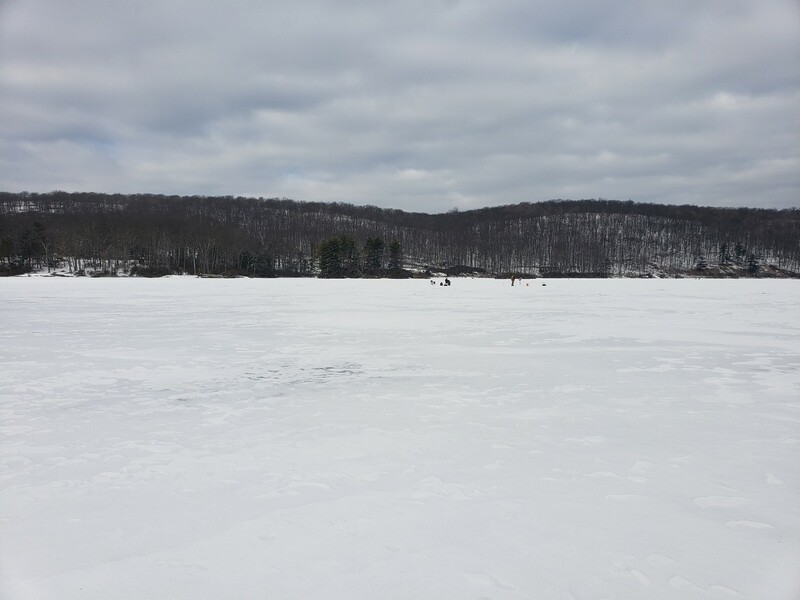 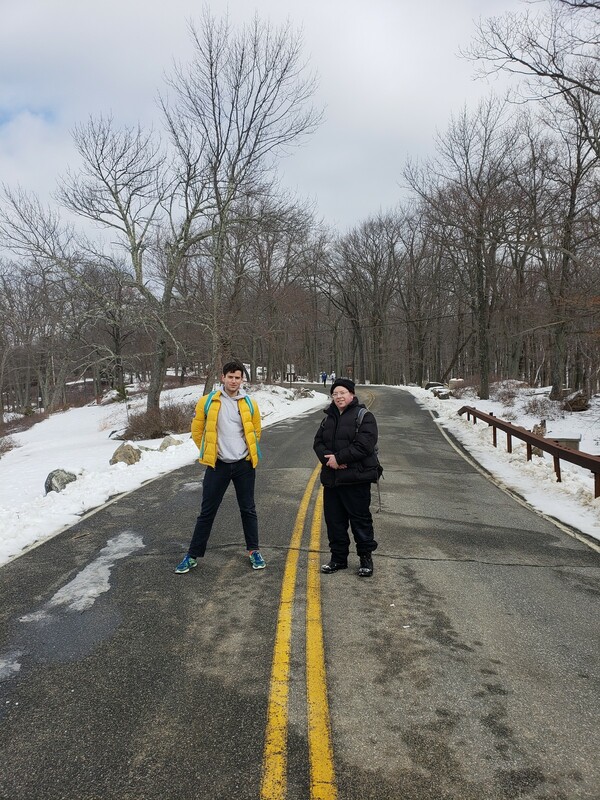 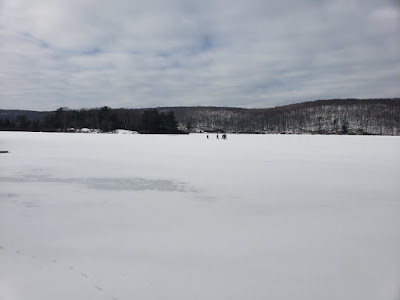 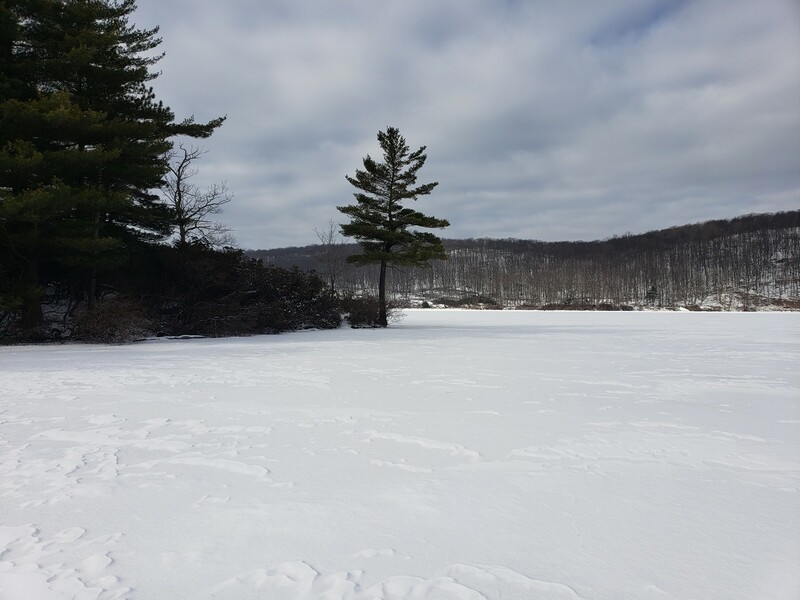 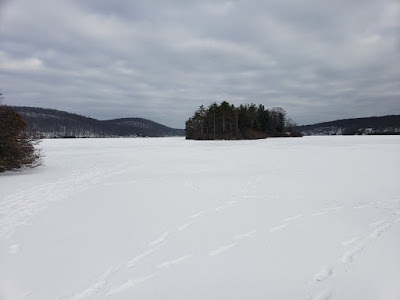 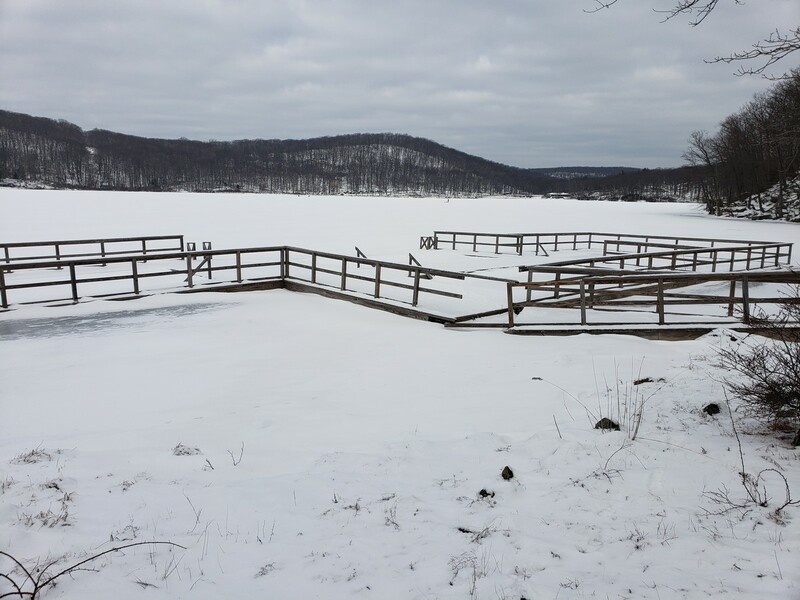 We then walked to the eastern end fo the lake, exiting by the dam, and walked across the closed road by the dam, and then going back into the frozen lake, heading west back towards the parking area and our car.